Delhi International Airport (Pvt.) Ltd. and Vodafone have partnered to provide 1 GB free Wi-Fi to all Vodafone subscribers at Indira Gandhi International (IGI) Airport. Recharging your Vodafone number with a 1GB or 2GB, 3G/4G pack will get you an additional 1GB free Wi-Fi that can be availed at IGI Airport or any other Wi-Fi zone powered by Vodafone, the statement said. "The launch of free services for Vodafone 3G/4G prepaid and postpaid customers at the country's busiest airport comes following successful trial runs, which lasted for over three months. The Wi-Fi zone at IGI Airport, spread over 6 lakh square metres, is the largest in the country." DIAL said in the release. To avail the Wi-Fi facility, travellers using Vodafone mobile services need to choose the Wi-Fi connect option in the My Vodafone App, for seamless Internet connectivity, the release said. 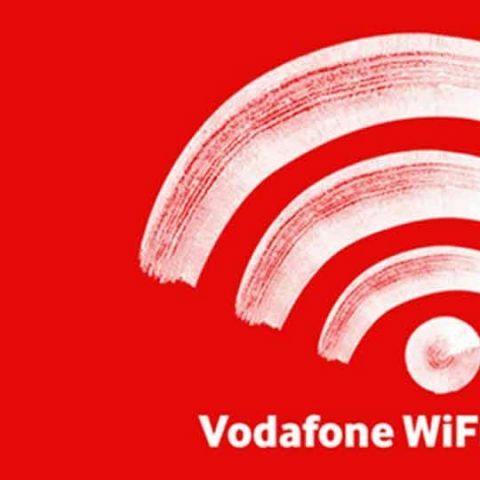 Vodafone consumers using laptops or tablets can also connect to this Wi-Fi service by selecting 'VodafoneWiFi' from the list of available networks. Post selection, you will have to login by generating a one-time password. Additionally, Vodafone announced a 3-month free subscription for its Vodafone Play app to compete with Reliance Jio's offer. The App will be available without any charges to subscribers of any telecom operator, but charges will be incurred after the offer period. Launched on September 27, the Vodafone Play app offers videos, music, TV shows on its platform via content aggregators. “People are increasingly watching more videos and listening to music on their smartphones. Instead of downloading multiple apps, all they need is to download and use Vodafone Play that offers the best of content digitally for all their entertainment requirements,” Sandeep Kataria, Director - Commercial at Vodafone India said in a statement. Competitors Airtel and Reliance Jio also offer a range of apps for their customers to stream – Wynk Music, Wynk Movies, JioMusic, JioCinema and JioTV Live. Service providers seem to be targeting multimedia consumers quite aggressively and Vodafone is the latest to join the club.